BURR, Douglas Paul. It is with heartfelt sadness we announce the passing of Doug on Thursday October 5th, 2017 at the age of 72. His love and passion for life began when he met Susan; his wife of 48 years. They enriched their lives with the blessing of Julianne (Tim) Sviergula and Stephanie (Bill) McWilliams. His unconditional love flourished with the birth of his grandchildren Madeleine, Jason, Aaron, Lauren, Ryan, and Ashley. Doug was a very proud owner of Tim Hortons Fonthill. 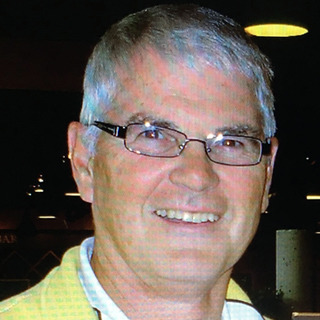 He was an avid golfer, supporter of Pelham Minor Hockey and instrumental in the development of the new Community Centre. He was a proud Rotarian serving as Past President and Charter Member. He was given the distinguished honor of receiving the Paul Harris award. In keeping with Doug’s wishes, cremation has taken place. Family invites friends to St. Alexander Roman Catholic Church, Fonthill on Saturday October 14th where a Funeral Mass will take place at 11 am. Celebration to follow at Pleasantview Funeral Home, 2000 Merrittville Highway (905 -892-1699), Reception Centre at 12 noon. In lieu of all flowers, donations to Wellspring Niagara or Gord Downie Fund for Brain Cancer Research would be appreciated.